Although this shouldn’t come as a surprise, LG’s recently revealed V50 ThinQ, the company’s first 5G smartphone, is not coming to Canada at launch. Given that Canadian 5G networks aren’t expected to be active until 2020 at the earliest, this decision makes sense on LG’s part. The phone is set to feature Qualcomm’s Snapdragon 855 processor, an X50 5G Modem, 6GB of RAM and 128GB of internal storage that can be expanded with a microSD card. In general, the phone looks nearly identical to LG’s recently announced G8 ThinQ. The only difference between the two devices, at least at the outset, is a 5G logo located on the rear of the smartphone. 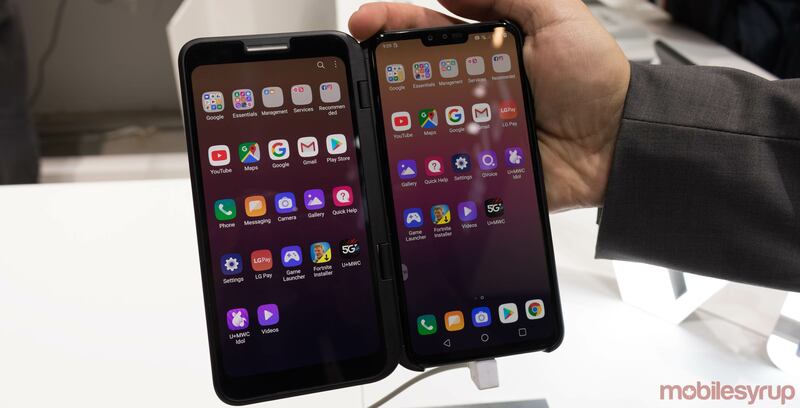 What’s perhaps most noteworthy about the V50 beyond its 5G connectivity, is the fact that LG is releasing a second screen attachment for the smartphone. It seems this is LG’s answer to the foldable devices like the Mate X and Galaxy Fold. Up to four apps can be run across both displays, and there are dedicated on-screen gaming controls for supported titles that can be added to the second screen. The display can be locked into two angles, 104-degrees and 180-degrees. 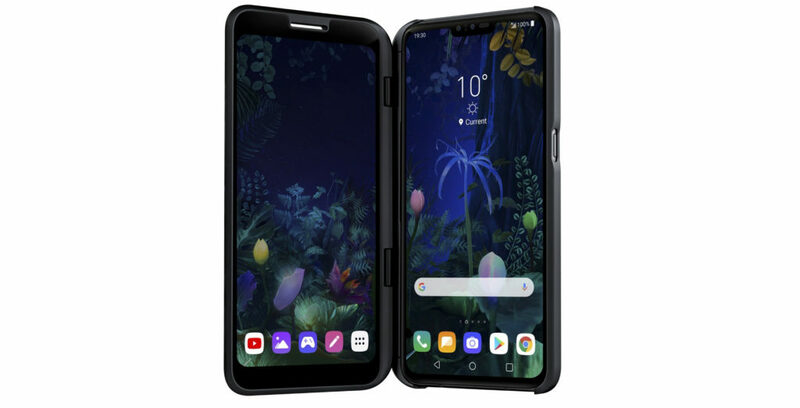 In a strange move on LG’s part, the V50 ThinQ’s second screen attachment not only isn’t coming to Canada, but is also skipping out on a U.S. release as well. It’s currently unclear what markets LG plans to release the V50 in.